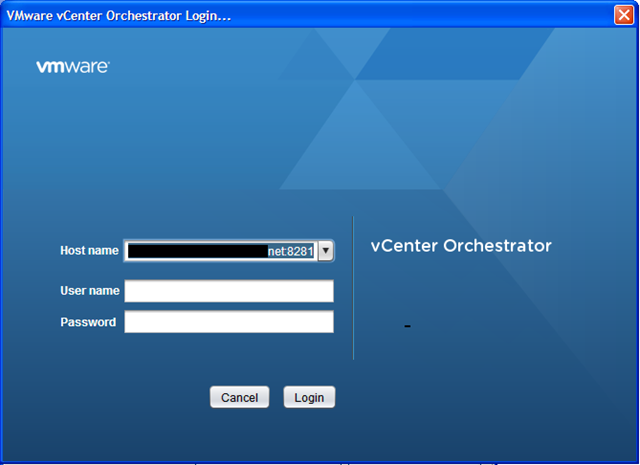 if you’re using the vCAC vCenter Orchestrator (vCO) client to customise a workflow it uses a Java client. 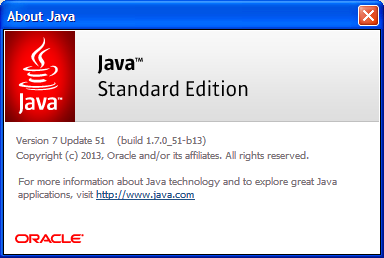 If you recently updated or downloaded Java to your machine then you’ll see the following error message.. This is because it is using a self-signed certificate, and the latest Java builds prevent this as a security measure, reasonable I guess. You’ll need to add your vCAC appliance URL to the exception list, note you need to specify the port number, or it won’t work. 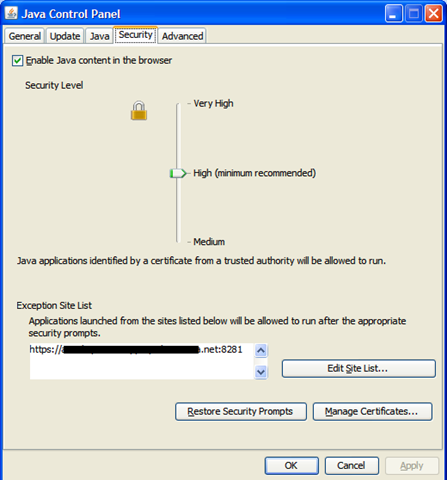 you can set this ON YOUR CLIENT WORKSTATION via Control Panel –> Java / Security on a Windows machine.